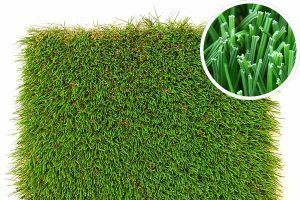 Emerald Pro or Spring Pro Artificial Grass - Curb Design Inc.
Our Spring Pro artificial grass comes with a 4 tone blade design, which looks and feels more realistic than any other brand currently on the market. Curb Design is Calgary's Premiere Landscaping Solutions Company. We offer a wide variety of services from general landscaping projects, custom concrete, patios and walkways, artificial grass and much more. Give us a call today for a free, no obligation estimate and find out how Curb Design can turn your outdoor living space into that oasis you have always dreamed of. 2019 All Rights Reserved | All Content on this site is Copyrighted & Protected | 2019 Curb Design Inc. This Website is Designed, Developed and Implemented by Ullaco Corporation.